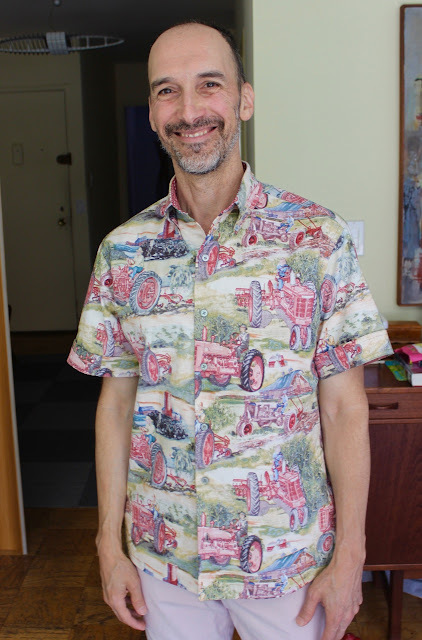 Sewing On the Wrong Side: My Reverse-Print Tractor Shirt! Readers, did you know this was even a thing? 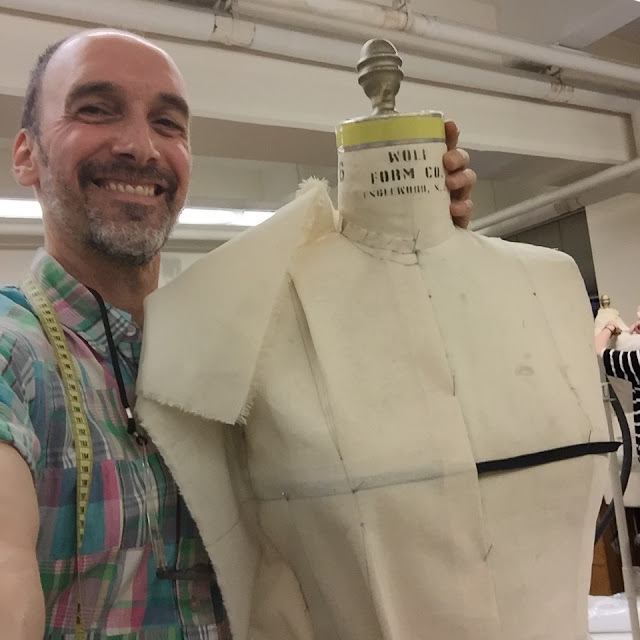 Apparently Aloha shirts -- also known as Hawaiian shirts -- are often made with the printed side (what we sewers call the right side) on the inside. More muted in appearance, they are often worn for business wear. 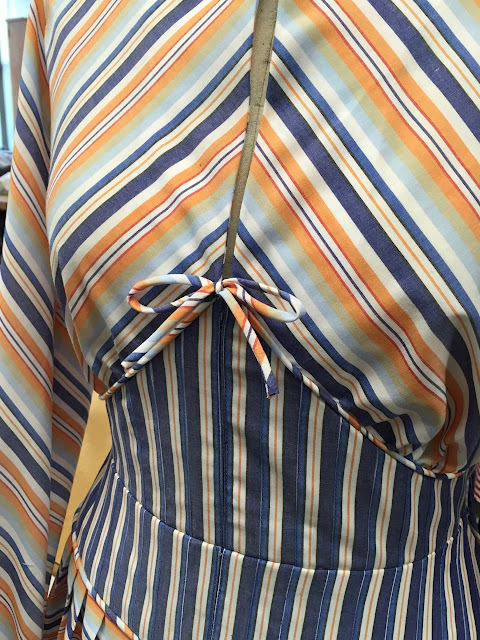 (You can read more about reverse-print Aloha shirts here). New Summer Separates: Geometric Print Shirt + Linen Shorts! 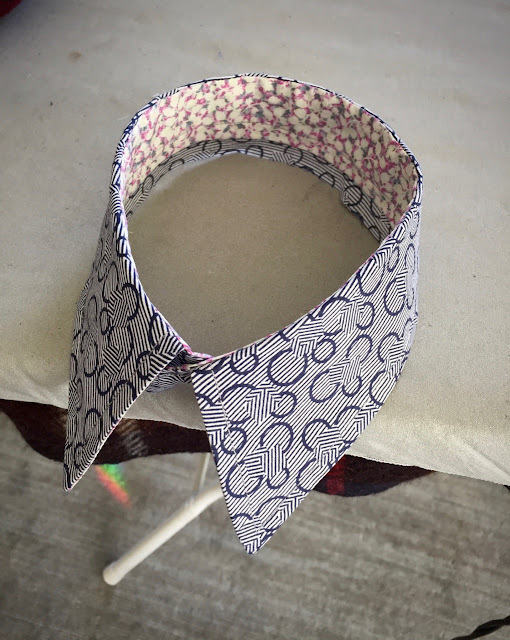 Isn't that the coolest print shirting you've ever seen? 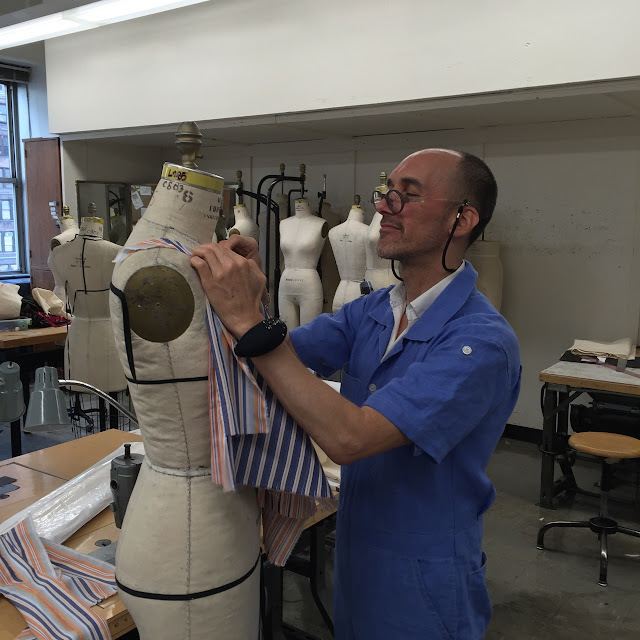 Readers, you can see me modeling my new summer outfit right this very minute by simply clicking here! I'm done with my final class project! Three weeks down, two weeks (and a day) to go! Readers, I was fabric shopping earlier in the week with an old friend -- more about her in a bit -- when I saw this sign at Fabrics For Less on 39th St. (now combined with Chic Fabrics). 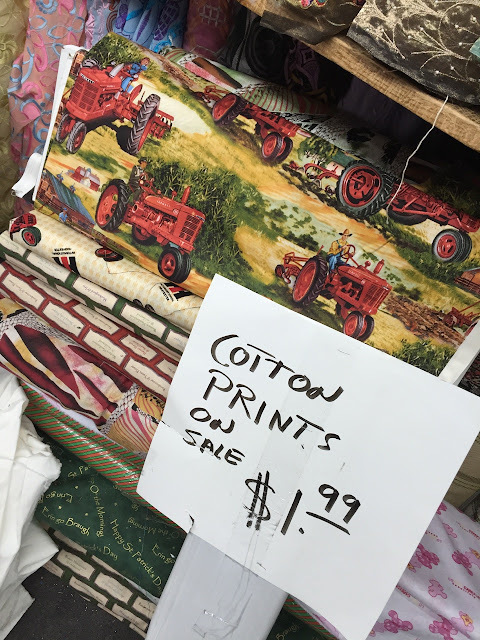 Behind it was a cute vintage tractor-print -- quilting cotton really -- for just $1.99 a yard. It took a few days for me to make up my mind, but I was back there this morning and grabbed, alas, the last four yards. Wait! Wasn't it August just, like, a month ago? 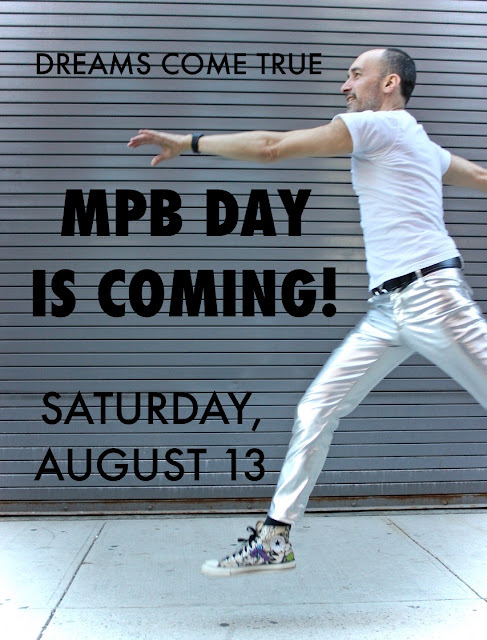 Seems that way, but my calendar tells me that it's already time to announce our Sixth Annual MPB Day, scheduled for Saturday, August 13th, 2016! 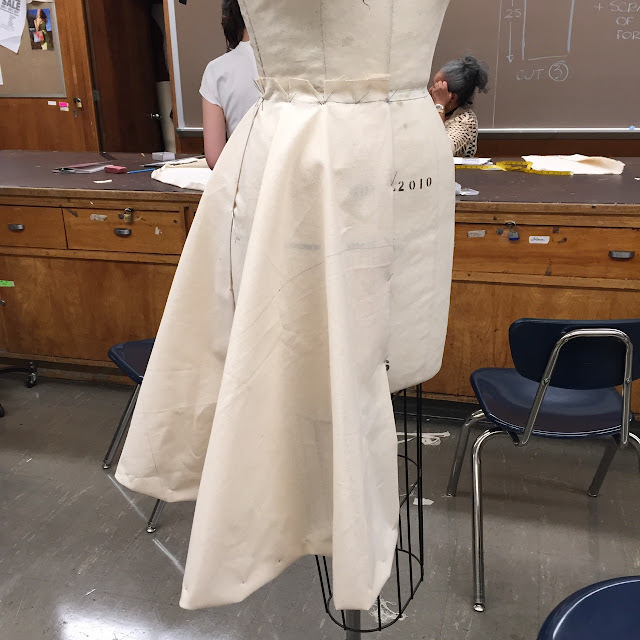 Readers, I'm two weeks into my five week draping class and wow, are we moving along! 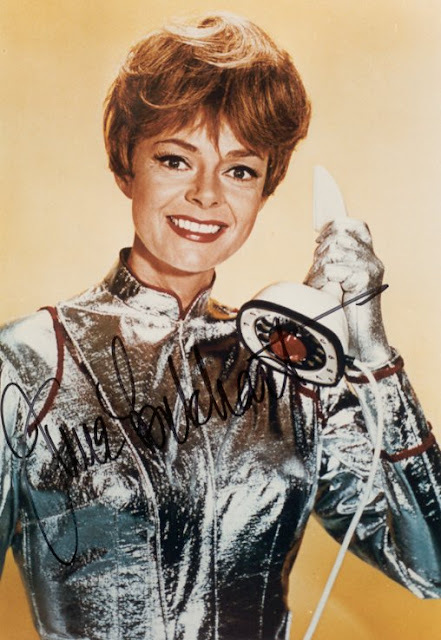 June is here at last -- a glorious sun-shiny day here in NYC -- and it's time to play!